Here at Love Island, your personal information is really important to us. So important, in fact, that we have two privacy notices. Firstly, we have a general privacy notice for all applicants and contestants which you can view at www.itvstudios.com/privacy-notice/talent-contributors-audience. This is for your usual everyday stuff across all ITV Studios shows and you can read it at your leisure. Secondly, we have a ‘Love Island Privacy Notice’ which deals with the sensitive information about you which we will need to ask you for (and/or which you may tell us about) during the casting process and making of the show, such as questions about your previous dating history and preferences which are of course at the heart of the show. Please take a moment to read the notice carefully (click here to view) as we have to make sure you are happy with how we use this information. Once you have read the notice, please confirm below whether or not you consent to how we will use your sensitive information, as explained in the notice. I consent to the processing of this information as explained in the Love Island Privacy Notice. I do not consent to the processing of this information as explained in the Love Island Privacy Notice. Are you sure? Without your consent you will not be able to apply for the show, because the show does of course disclose information about your sexual orientation and sexual history. Please tick to consent even if you do not have any other sensitive information to disclosetell us about at this stage. Great! You can now register. You can withdraw your consent at a later date but you may not be able to continue with your application and/or take part in the show. ITV2 are looking for vibrant singles from across the UK who want to head to the sun, in search of a summer of love. The chosen cast will spend time in a luxury villa, getting to know one another, but to remain in paradise they must win the hearts of the public and their fellow Islanders who ultimately decide their fate on Love Island. 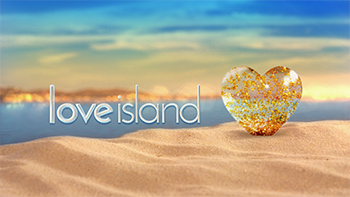 Please complete this form (the “Application Form”) in order to apply for “Love Island” (the “Programme”) co-produced by ITV Studios Limited (“we”, “us”, “our”) and Motion Content Group Limited (“Motion”) for initial transmission by ITV Network Limited (the “Broadcaster”). Please note if you have already submitted a Registration Form to us in 2018, we are now inviting you to log back into your account to complete and submit a full application form (the “Application Form”). Without submitting the full Application Form we will not be able to consider you for the Programme. The closing date for submitting the Application Form is: 30 April 2019 (the “Closing Date”). You will not be able to apply unless you have submitted a Application Form by the Closing Date. We may extend the Closing Date at our discretion without notice. Please ensure you meet the eligibility requirements (as set out below) and read the Programme’s application terms and conditions (the “Terms and Conditions”) very carefully before you start to complete the Application Form. a live-in partner or immediate relative (for example, mother, father, son, daughter, brother or sister) of an employee of ours, Motion, the Broadcaster or any of the ITV group of companies.